Award winning Skunk Tales, a family devotional, is a fascinating journey through the life of one mother who learned many of her biggest lessons by observing the creatures around her… yes, that even includes skunks! In the day of the digital culture, Skunk Tales is a welcomed resource. Join Lynn Marie as she discovers how to take challenges in her life and, with God’s help, turn them into good. 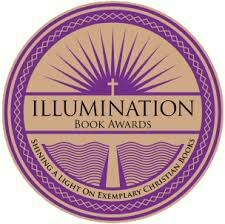 Shining a light on Exemplary Christian Books to honor the year’s best titles. Written and published with a Christian worldview. We hope you receive a blessing from the messages in the book. Please feel free to give me feed back and your testimony here. Contact me for bulk requests or general questions. 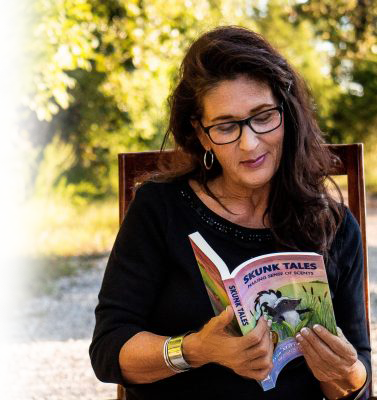 Award winning Skunk Tales is a book of true short stories written by a mother about her small family. In the day of the digital culture, Skunk Tales is a welcomed resource. These original tales teach valuable character lessons from her life experiences. These new, unfamiliar experiences proved to be novel opportunities of learning and adventure. What a surprise it was when they arrived at their new home and discovered a strange foul odor about their house! Later they would learn that they had some uninvited quests. This period of reflection resulted in her desire to share with others chapters of her life. 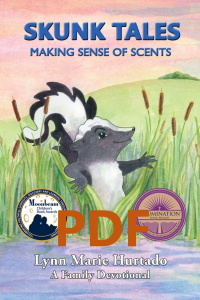 In Skunk Tales Lynn Marie writes about how God miraculously guided and cared for her and her son. You will enjoy over sixty beautiful illustrations in Skunk Tales which accurately portray the true events of the stories. At the end of each chapter is an exciting and delightful section called “Pooky s Time Out.” This is a very useful tool for parents to teach character lessons, motivate learning, and encourage families to spend intimate time together. It’s rich with fun activities to do and idioms to learn as well as Scriptures and prayers to read and songs to sing. 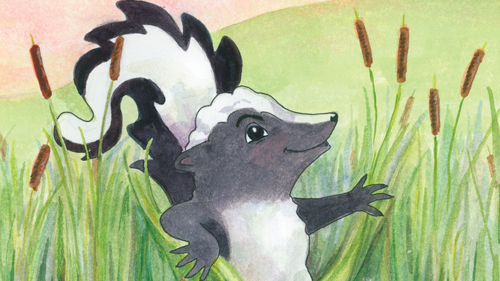 As a result of reading Skunk Tales you will gain a fresh perspective and appreciation for the many valuable and meaningful opportunities you already possess to nurture and inspire your loved ones. Family time will become filled with meaning and purpose as you make cherished memories of time spent together. Lynn Marie shares the life-giving message of grace and testifies of God s faithfulness even in the stinkiest situations. Sharing the grace and love of Jesus Christ to future generations.